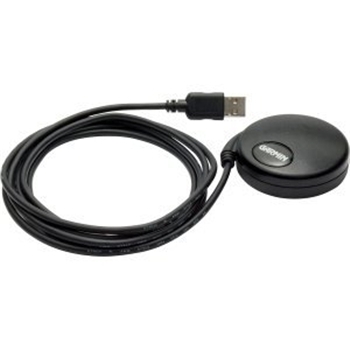 The Garmin GPS 18x USB receiver is probably the best way to buy a GPS receiver for your laptop. It is a straight forward USB 2.0 connection that will then provide position data to your NMEA 0183 compliant navigational software, whether automotive like Delorme Street Atlas and Topo or MapTech marine chart kits just to name a few. One caution though you will need to download one of two pieces of free software to convert the USB com port to NMEA 0183. Those free software are Garmin’s Spanner software or GPS Gateeither one of these programs will allow the GPS 18x USB to appear as normal NMEA GPS to your mapping software. Please Call 1-800-477-2611 for Volume Pricing on 12 or more Units.